Seattle, Wash., and Cambridge, Mass. 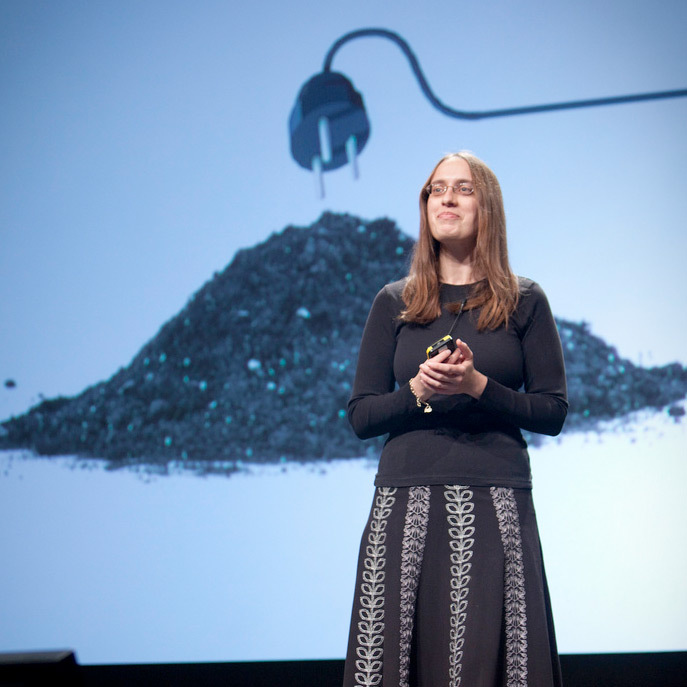 – April 28, 2011 – A project to use dirt-powered batteries to charge cell phones in Africa won a $100,000 grant from The Bill & Melinda Gates Foundation today. Aviva Presser Aiden '09 (Ph.D.), an affiliate of the Harvard School of Engineering and Applied Sciences (SEAS) who is now a student at Harvard Medical School, and colleagues will help to develop a Microbial Fuel Cell-based charger that could be readily and cheaply assembled out of basic components to increase access to health care via mobile applications in the developing world. The project, hosted by the Laboratory-at-Large at Harvard, will have an initial field-test site in sub-Saharan Africa. Harvard Fellow Erez Lieberman-Aiden will serve as the lead investigator on the project. This grant was made under the call for Gates Grand Challenges Exploration Grant (CGE) proposals to "Create Low-Cost Cell Phone-Based Applications for Priority Global Health Conditions." GCE funds scientists and researchers worldwide to explore ideas that can break the mold in how to solve persistent global health and development challenges. Aiden’s project is one of over 85 Grand Challenges Explorations Round 6 grants. Cell phones are becoming a ubiquitous and increasingly crucial part of the health care infrastructure of the developing world. The devices provide a critical gateway to health information and offer contact with physicians who cannot reach remote locations. For instance, even in Sub-Saharan Africa, where 500 million people lack power in their homes, 22 percent of households have cell phones. Keeping the devices charged, however, can be a challenge. "For households lacking power in Sub-Saharan Africa, recharging a cell phone battery often means a long, possibly multi-hour walk to a charging station, where recharges cost between 50 cents and a dollar," says Aiden. "Because the per-capita income is several hundred dollars per year, this is a significant cost. Existing solutions for charging cell phones in off-grid areas are inadequate. For instance, a solar-panel based charger costs around $20, and is difficult to even bring to market because of poor access and inability to repair them if they break." The solution is the use of an natural abundant source of energy: microbial power. Certain naturally occurring soil microbes produce free electrons during the course of their ordinary metabolic processes. A Microbial Fuel Cell (MFC) uses a conductive surface to harvest these electrons and use them as a power source. "We plan to develop an MFC-based cell phone charger," says Aiden "Our goal is to make a charger would cost of order a dollar and could completely charge a phone in 24 hours. Furthermore, unlike solar panels, MFCs do not require any sophisticated materials: they can be easily assembled in only a few minutes. As cultural knowledge of MFC technology spreads, Africans will become capable of assembling their own chargers almost entirely from scratch, and at minimal cost that will be recouped with the very first recharge." Aiden has already demonstrated the effectiveness of the MFC-approach, building MFCs that can produce enough to power LED lights for use in homes in regions such as Tanzania and Namibia. Moreover, the MFCs were able to operate continuously in the lab for 14 months. "With the funding from the Gates Foundation, our plan is to send two researchers to Africa for this deployment," she says. "The researchers will spend two weeks introducing themselves and their work to the community and collecting data regarding typical phone usage behavior and recharge frequency. After this introductory period, the researchers will install the prototypes in the homes of volunteer families, showing these families about how to plug in their phones." Following the completion of the pilot program, Aiden hopes to follow-up with a larger-scale project, distributing chargers across broader region, thereby demonstrating the viability of this approach to charging cellular phones in developing world contexts. Applications for Round 7 of Grand Challenges Explorations will be accepted beginning in March 2011. Details are available at www.grandchallenges.org/explorations. Guided by the belief that every life has equal value, the Bill & Melinda Gates Foundation works to help all people lead healthy, productive lives. In developing countries, it focuses on improving people’s health and giving them the chance to lift themselves out of hunger and extreme poverty. In the United States, it seeks to ensure that all people—especially those with the fewest resources—have access to the opportunities they need to succeed in school and life. Based in Seattle,Washington, the foundation is led by CEO Jeff Raikes and Co-chair William H. Gates Sr., under the direction of Bill and Melinda Gates and Warren Buffett. Learn more at www.gatesfoundation.org.